This book was not written for people who have their act together, but instead for the “bedraggled, beat-up, and burnt-out.” It is for me and it is likely for you. A ragamuffin, by the way, is “a shabbily clothed, dirty child.” It may not be an attractive metaphor, but it is revealing. The Ragamuffin Gospel ask questions—questions you may have thought, but were afraid to voice. It doesn’t provide answers as much as it points the way towards reflection and self-discovering; it is awe-inspiring in the process. Cleverly thought-provoking, this is not a religious book, but it is highly spiritual. It is a short read, but may not be a quick read as you contemplate the depth, fullness, and richness of the journey on which it takes you. 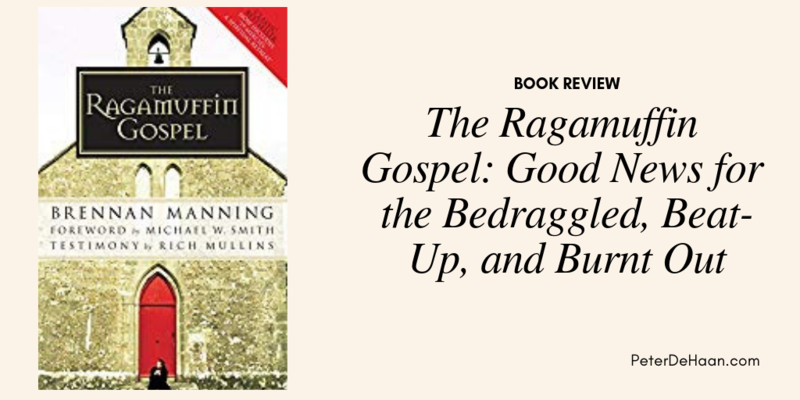 The “visual edition” of The Ragamuffin Gospel (linked below) is filled with equally stunning and thought-provoking artwork and photos. Let it inspire and encourage you, as you pour over its inviting pages. I agree. One I’ve saved to be savored again.